Deepwater Horizon rig catastrophe has been called a unique event by the oil industry, but the recent history of offshore drilling suggests otherwise according to an investigative story by the Wall Street Journal. In the months before and after the Deepwater Horizon rig exploded, spilling millions of barrels of oil into the Gulf of Mexico, the industry was hit with several serious spills and alarming near-misses. A blowout off the coast of Australia left oil flowing into the Timor Sea for weeks. 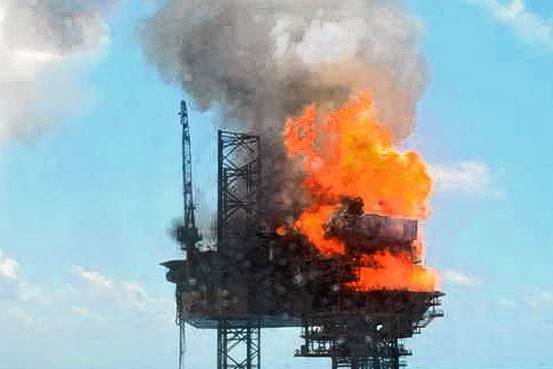 An out-of-control well in the Gulf of Mexico dislodged a 4,000-pound piece of equipment on the deck of the Lorris Bouzigard drilling rig as workers scurried to safety. A gas leak in the North Sea aboard a production platform came within a rogue spark of a Deepwater Horizon-scale disaster off the coast of Norway. Data from regulators around the world suggest that after years of improvement, the offshore-drilling industry’s safety record has declined over the past two years. In 2009, in the Gulf of Mexico, there were 28 major drilling-related spills, natural-gas releases or incidents in which workers lost control of a well – up 4% from 2008, 56% from 2007, and nearly two-thirds from 2006. If you include the number of hours worked on offshore rigs in the equation, the rate of these incidents rose every year from 2006 to 2009. There are various possible explanations for the recent spate of problems. Investigations into the Deepwater Horizon and some other recent incidents have pointed to the industry’s difficulties finding and retaining enough experienced workers, its struggles to balance safety priorities with profit demands, and occasional lapses in the face of lax regulation. These challenges have become more pronounced as oil companies continue to push the limits of technology and experience in deeper water, harsher environments and more complex oil reservoirs, the investigators say. The six-month moratorium on deep-water drilling imposed by the Obama administration ended in October, one month ahead of schedule. Still, the administration reversed plans to expand drilling into new areas. Public Citizen continues to call for better regulation and stronger accountability for off-shore drilling operations.